Earnings per share refer to the given total of earnings that a company has for every share of the firm’s stock that is outstanding. There are several formulas for calculating earnings per share. These depend on which segment of earnings are being considered. The FASB, or Financial Accounting Standards Board, makes corporations report such earnings per share on their income statement for all of the major components of such statements including discontinued operations, continuing operations, extraordinary items, and net income. To figure up the basic net earnings per share formula, you only have to divide the profit for the year by the average number of common shares of stock. With discontinued operations, it is only a matter of taking the discontinued operations income and dividing it by the average number of common stock shares outstanding. Continuing operations earnings per share equal the continuing operations income over the average number of common shares. Extraordinary items works with the income from extraordinary items and divides it by the weighted average number of common shares. Besides the basic earnings per share numbers, there are three different types of earnings per share. Last year’s earning per share are the Trailing EPS. These are the only completely known earnings for a company. The Current earnings per share are the ones for this year. These are partially projections in the end until the last quarterly numbers are released. Finally, Forward earnings per share are earnings numbers for the future. These are entirely based on predictions. Earnings per share calculations do not take into account preferred dividends on categories besides net income and continued operations. Such continuing operations and even net income earnings per share calculations turn out to be more complex as preferred share dividends are taken off of the top of net income before the earnings per share is actually calculated. Since preferred stock shares have the right to income payments ahead of common stock payments, any money that is given out as preferred dividends is cash which can not be considered to be potentially available for giving out to every share of the commonly held stock. Preferred dividends for the present year are generally the only ones that are taken off of such income. There is a prevalent exception to this. If preferred shares prove to be cumulative then this means that dividends for the entire year are taken off, regardless of if they have been declared yet or not. Dividends that the company is behind on paying are not contemplated when the earnings per share is calculated. 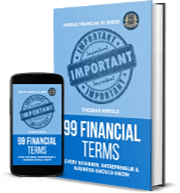 Earnings per share as a financial measuring stick for a company are extremely important. In theory, this forms the underlying basis for the value of the stock in question. Another critical measurement of stock price is price to earnings value, also known as the PE ratio. This PE ratio is determined by taking the earnings per share and dividing them into the price of the stock. Earnings per share are useful in measuring up one corporation against another one, if they are involved in the same business segment or industry. They do not tell you if the stock is a good buy or not. 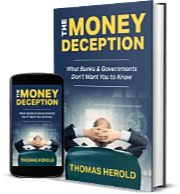 They also do not reveal what the overall market thinks about the company. This is where the PE ratio is more useful. 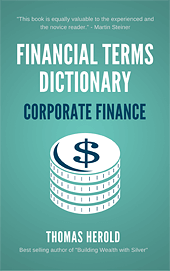 The term 'Earnings Per Share (EPS)' is included in the Corporate Finance edition of the Financial Dictionary. You can get your copy on amazon in Kindle or Paperback version. See more details here.